I was thrilled to receive such a generous scholarship that covered virtually all of my tuition, but I was even more grateful that the Clark School provides such generous support to transfer students overall. Born in Tokyo and raised on the West Coast, Nina Uchida has taken an unconventional route to the A. James Clark School of Engineering—but her surprise connection back to its eponym makes her feel as though she’s come full circle. After graduating from the University of Washington in Seattle with a bachelor’s degree in Japanese, she moved back to her home country for nearly a decade, working in the journalism and education industries. When Uchida decided that she wasn’t satisfied with the career options that lay ahead of her, she knew it was time to go back to school. Because the American education system is more accommodating for non-traditional students like herself, Uchida decided to give the East Coast a try and moved to Maryland, where her mother grew up and still resides. Uchida chose engineering because she wanted technically challenging coursework that would set her up for employment success in the future. She had already decided to enroll at the University of Maryland after being accepted and receiving an admissions scholarship, but her choice was solidified when she learned that she had also been awarded an A. James Clark Opportunity Scholarship for Transfer Students. Uchida was having lunch with her mother when she found out about her A. James Clark Opportunity Scholarship and began to excitedly share details of the gift. She was floored to learn then that her grandmother and great-aunts and -uncles were friends with Clark School alumnus, beneficiary, and namesake A. James Clark and his wife Alice, having gotten to know them through business connections with Clark Construction. “To find out that my family had a connection back to Mr. Clark himself was a complete surprise! It really made me feel like my journey had led me to the university,” says Uchida. 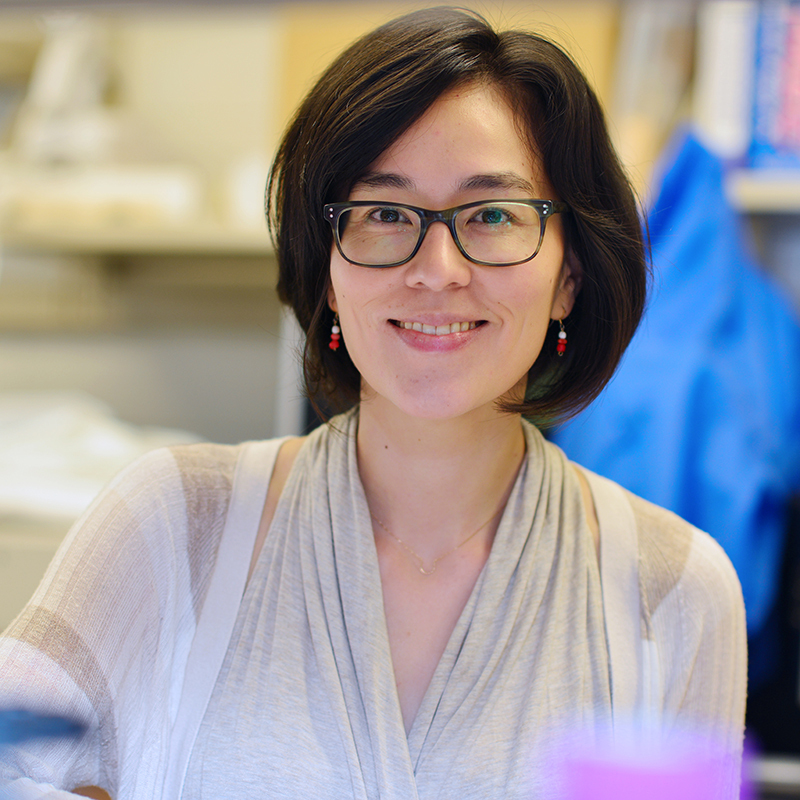 Now in her senior year, Uchida participates in hands-on research in the lab of Taylor Woehl, assistant professor of chemical and biomolecular engineering, on nanoscale assembly and electron microscopy. Uchida’s personal research currently involves interferometric scattering microscopy, in which basic principles of light scattering allow her to observe nanoparticles using an optical microscope. True to her goal in beginning her career change three years ago, Uchida has vast job opportunities open to her after graduation, from staying in research to working as a field engineer, and in industries from pharmaceuticals to aerospace.